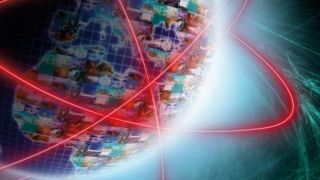 The United Nations control of the internet is unlikely, as officials from the U.S., U.K., Canada and other democracies refused to sign the new telecommunications treaty today. "The Internet has given the world unimaginable economic and social benefits during these past 24 years – all without UN regulation," said U.S. Ambassador Terry Kramer in Dubai. As the U.S. delegation head at the World Conference on International Telecommunications (WCIT), Kramer echoed his support for continuing the multi-stakeholder model of Internet governance. "Internet policy should not be determined by member states but by citizens, communities, and broader society, and such consultation from the private sector and civil society is paramount. This has not happened here." The WCIT was supposed to rewrite the International Telecommunications Regulations established in 1988. However, the fear was that this would open the door to online censorship and spying from certain governments. "This conference was never meant to focus on internet issues," said Kramer, "however, today we are in a situation where we still have text and resolutions that cover issues on spam and also provisions on internet governance." The U.S. wasn't alone in its condemnation of the changes, as the U.K. and Canada also walked away from signing this controversial treaty. "We all agreed that content was not intended to be part of the [treaty], but content issues keep coming up," said the British delegation, according to CNET. Canada added to that by saying that the treaty jeopardized its commitment to an internet "in which people are free to participate, communicate, organize and exchange information." Also expressing opposition to the treaty in some form were Sweden, Kenya, Denmark, Egypt and Costa Rica, said Kramer, according to The Hill. "[It's] with a heavy heart and a sense of missed opportunities that the U.S. must communicate that it is not able to sign the agreement in the current form," Kramer said in this WCIT address. This election year has been particularly divisive in the United States, but all sides of the political aisle in Washington came together to reject proposed internet regulation. The U.S. House was the latest body to unanimously vote on a resolution that called on the government to officially oppose U.N. control of the internet. Resolution SCR 50, originally drawn up and fully supported by the U.S. Senate, also received backing from The White House. The debate over who should control the internet is not over, and the countries that did sign the now-non-binding revised WCIT treaty can still enact regulations within their own borders, Kramer said to The Hill. "If someone wants to [regulate], that's their prerogative, but we're hoping that's not an easy task."